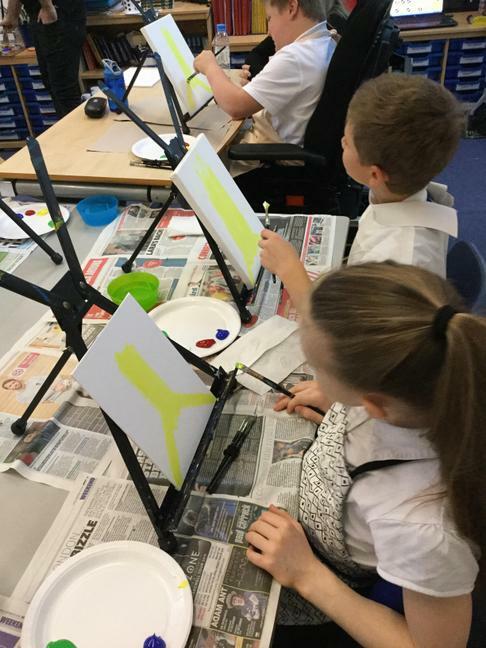 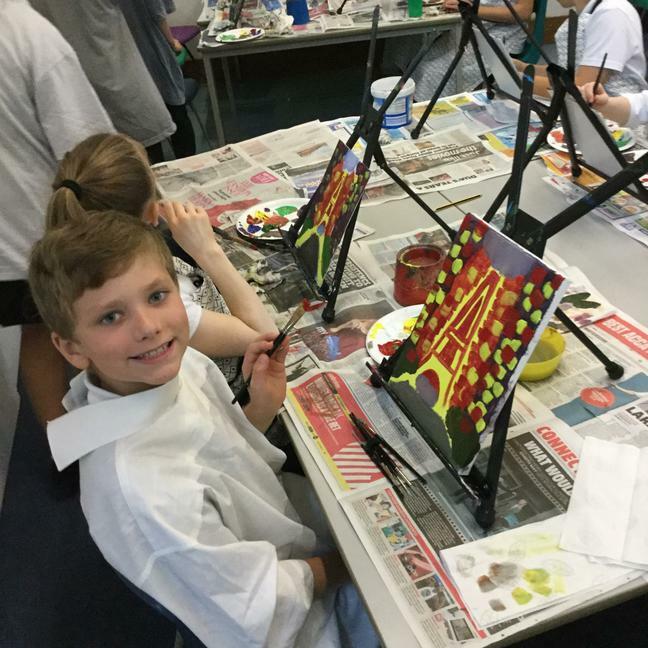 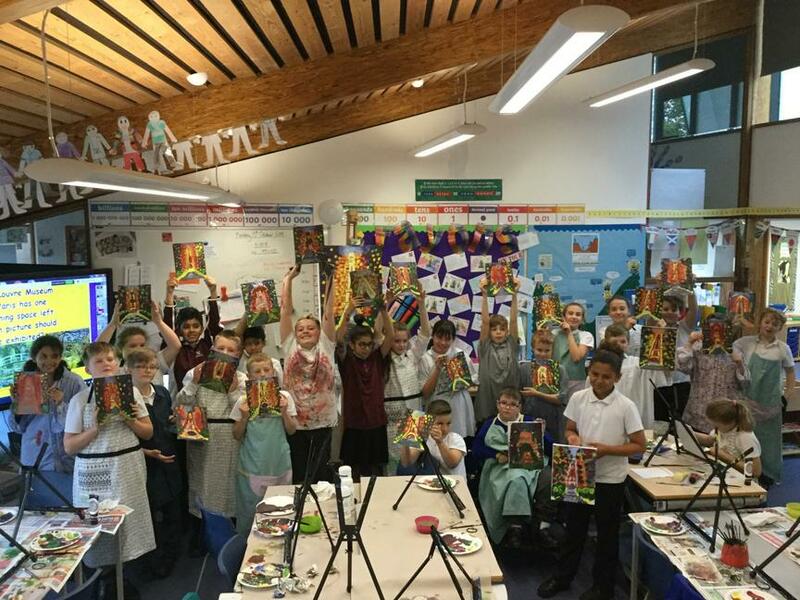 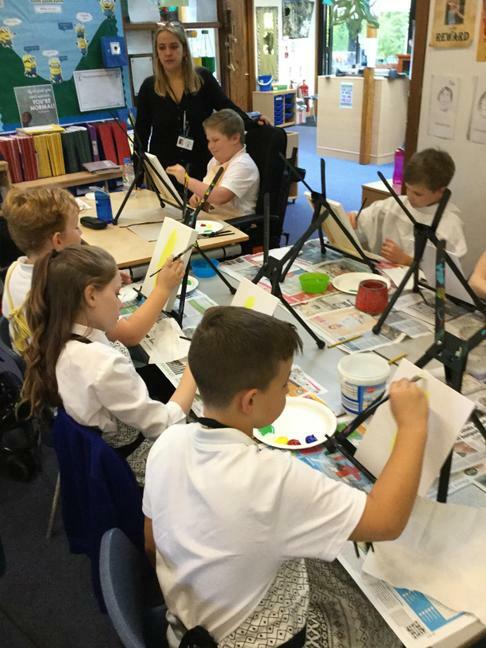 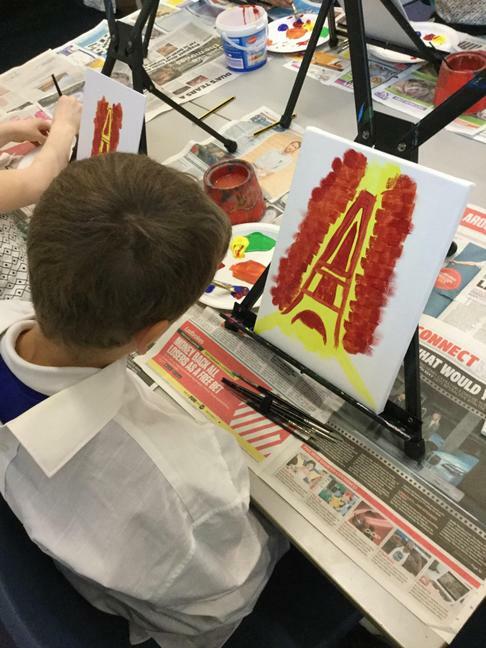 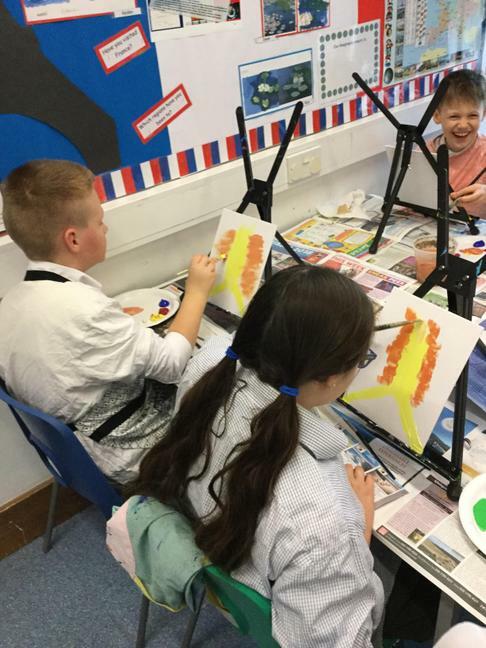 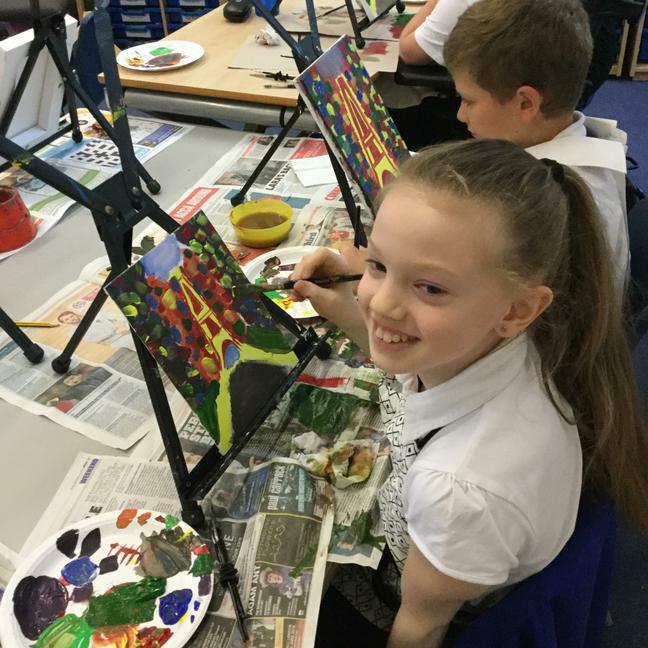 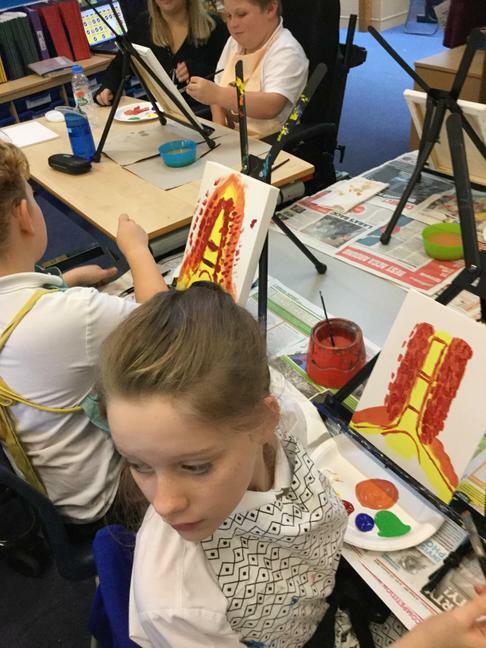 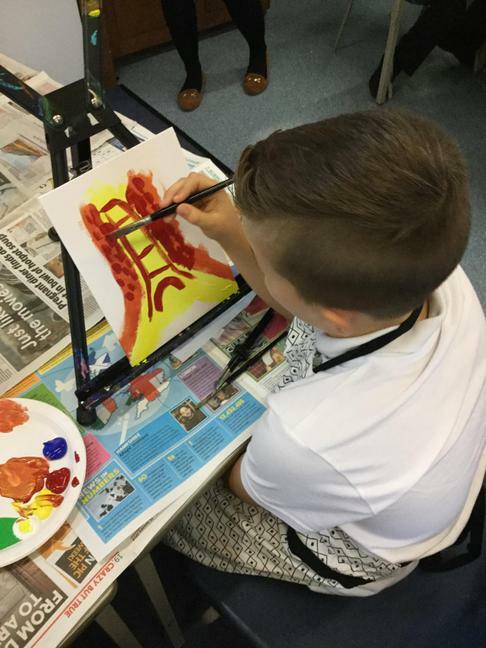 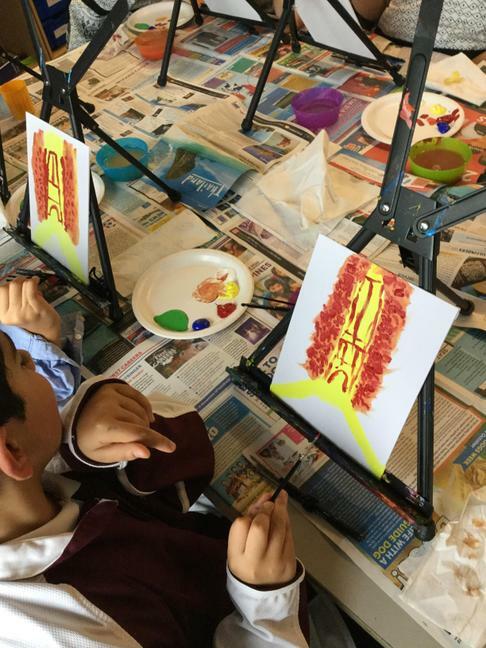 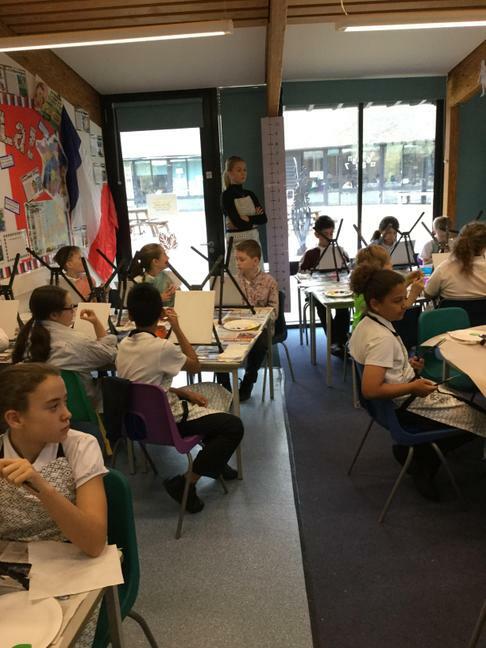 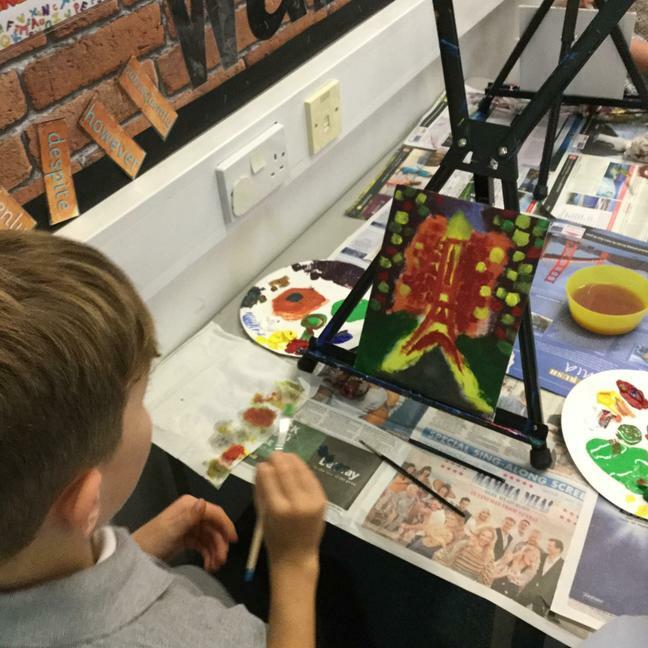 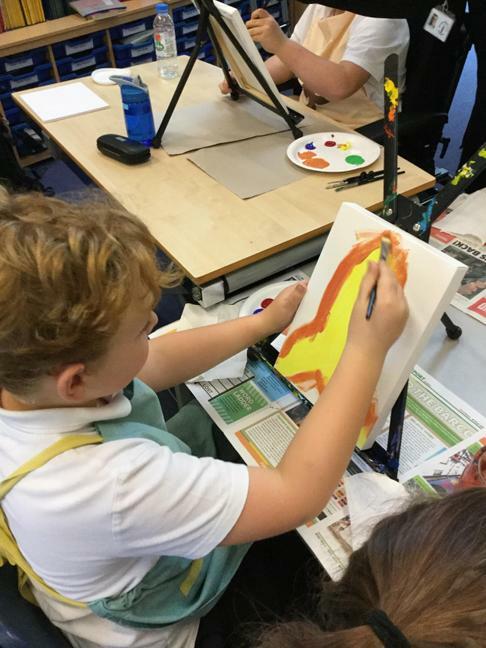 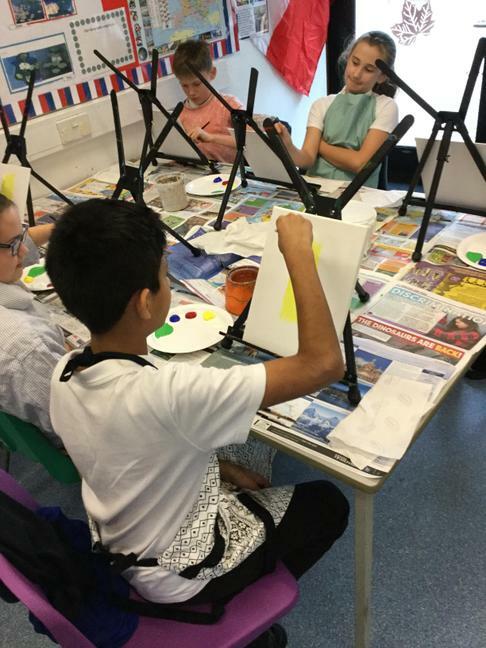 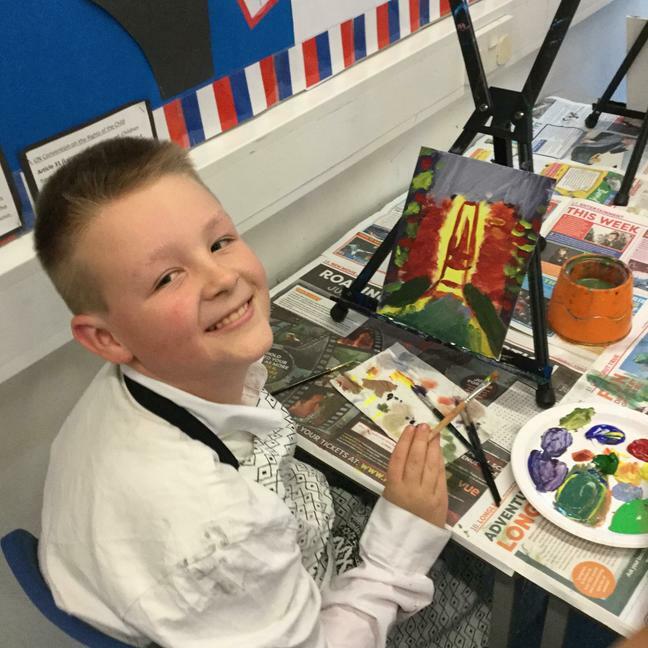 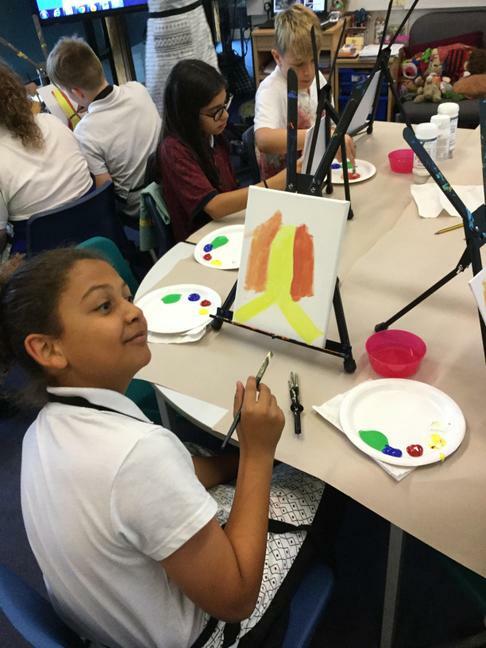 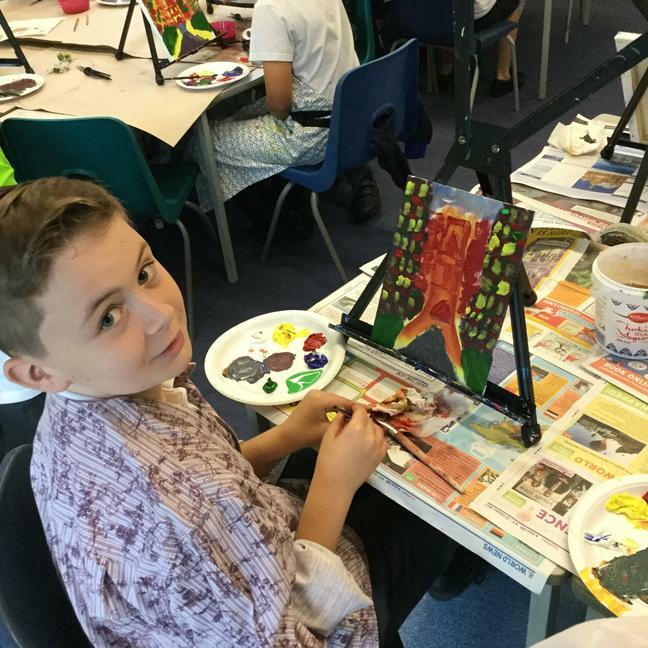 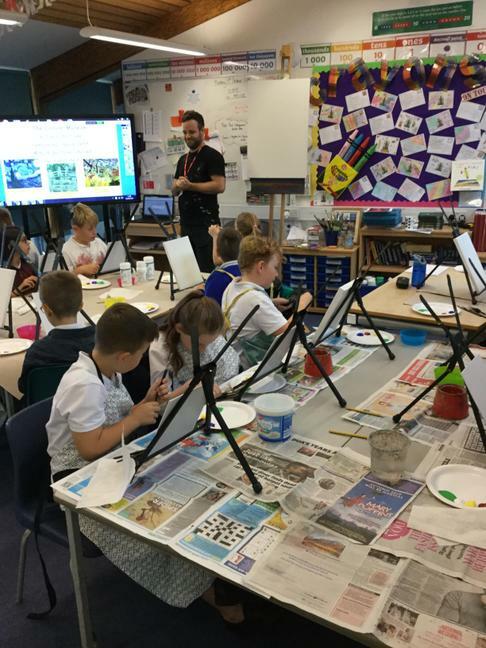 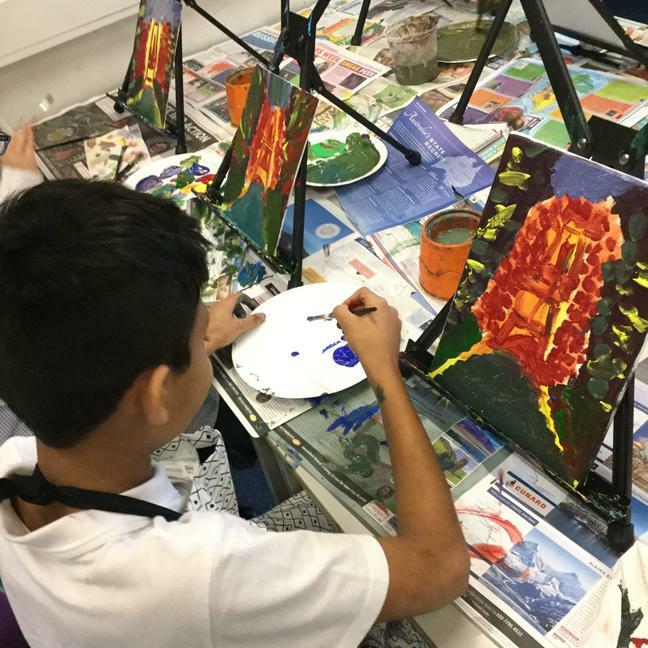 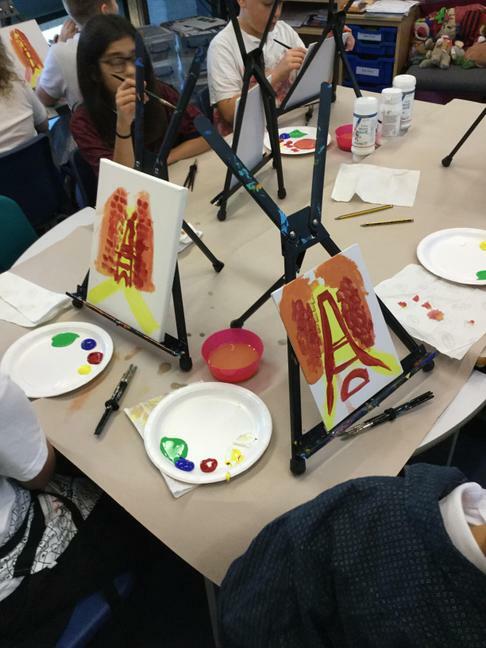 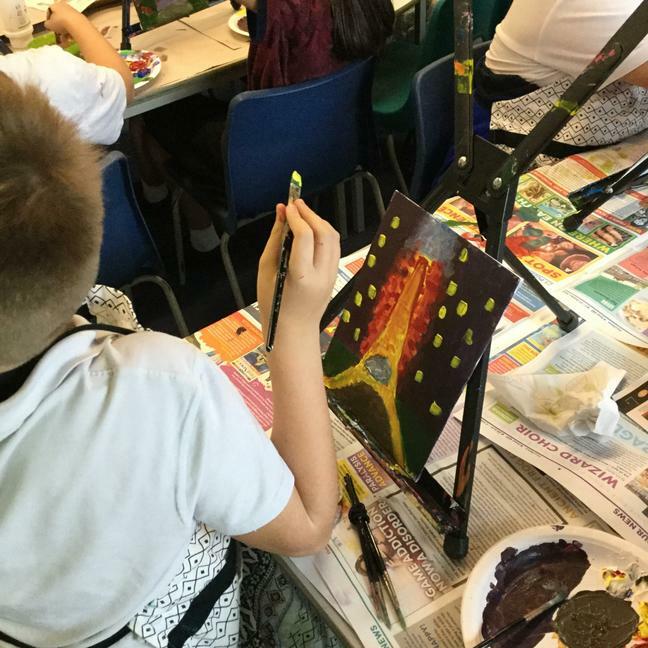 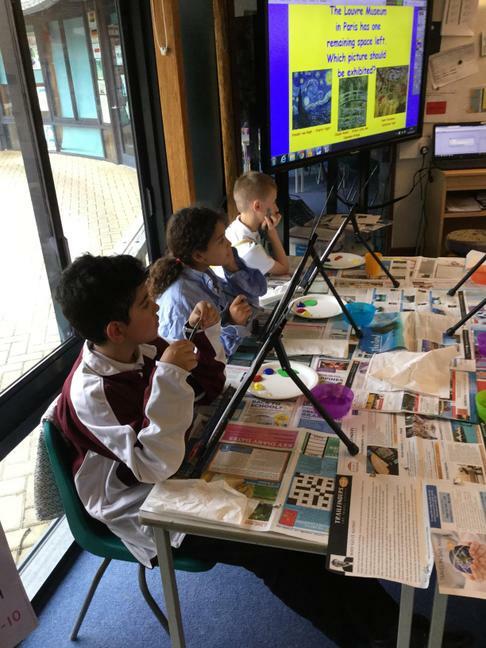 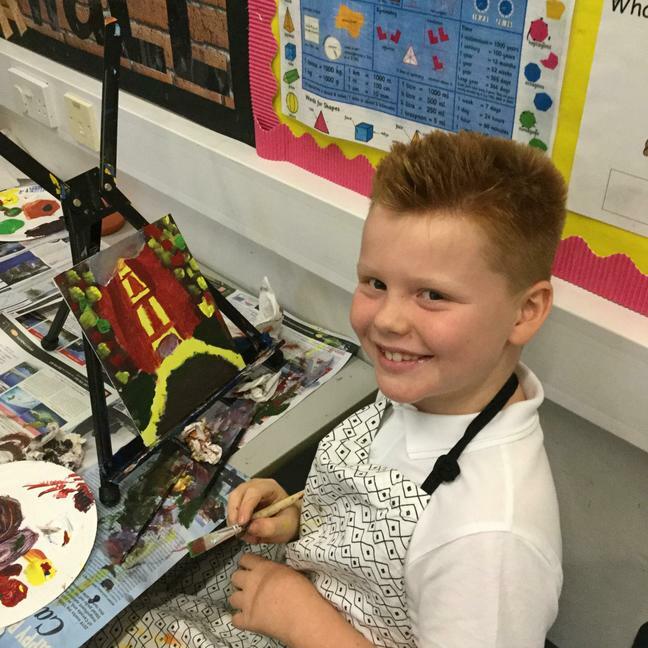 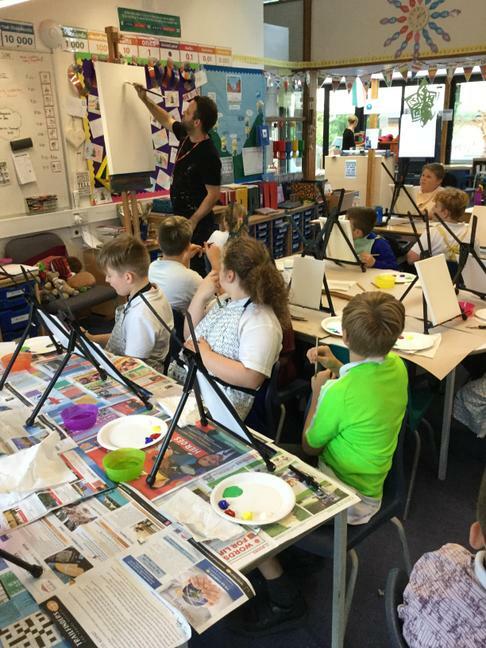 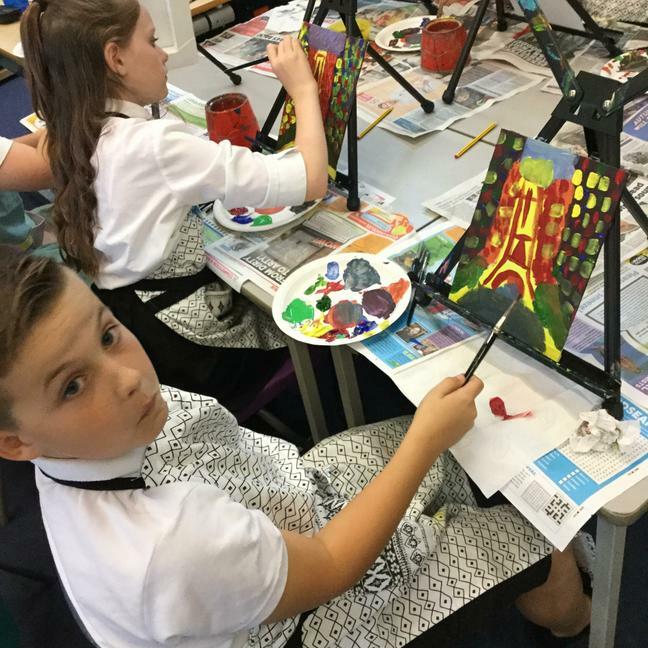 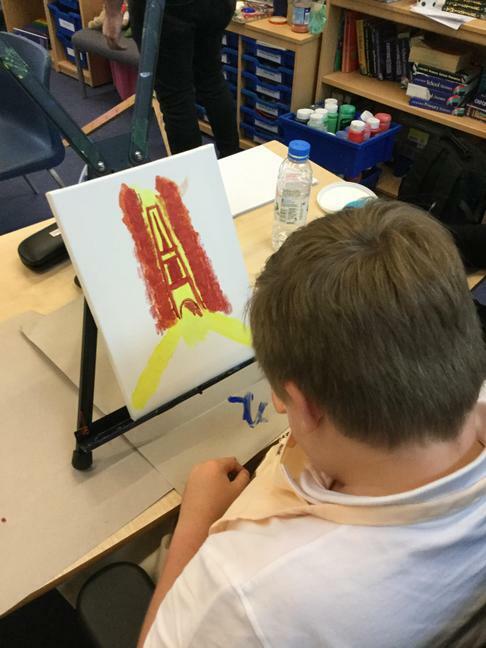 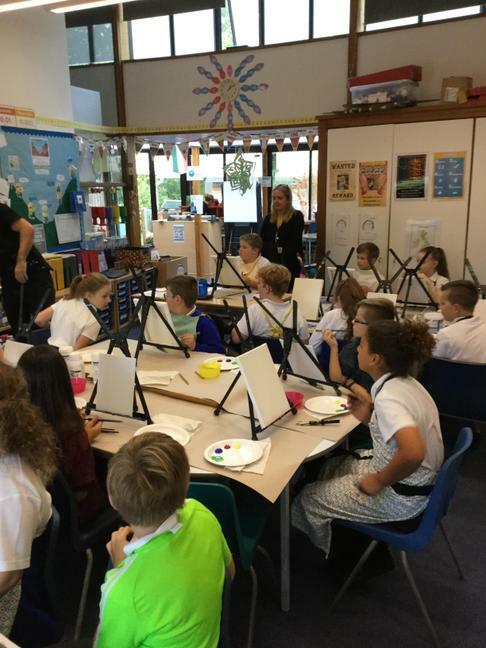 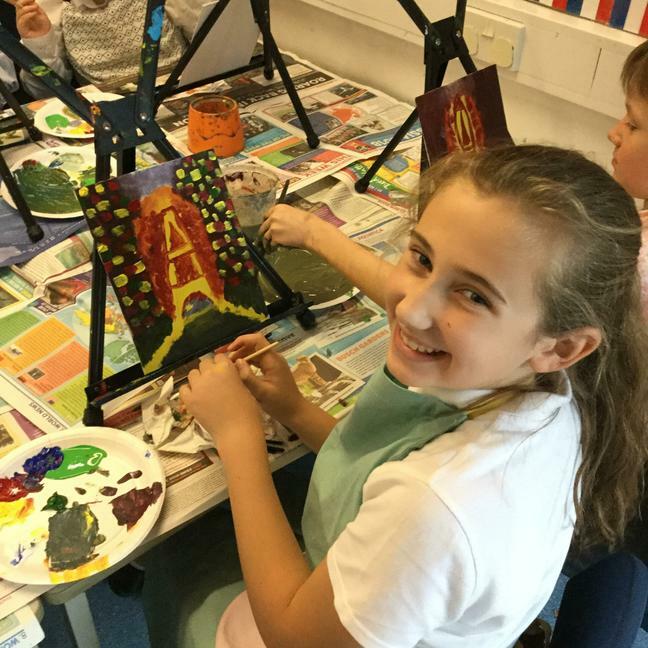 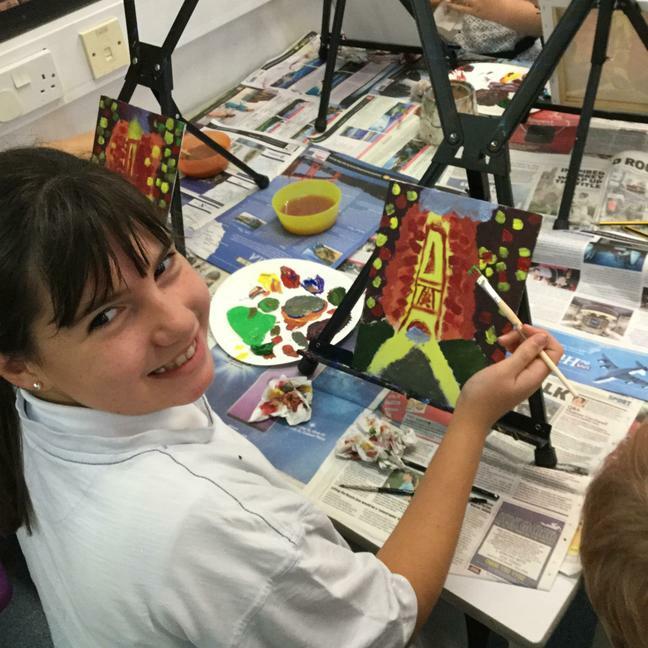 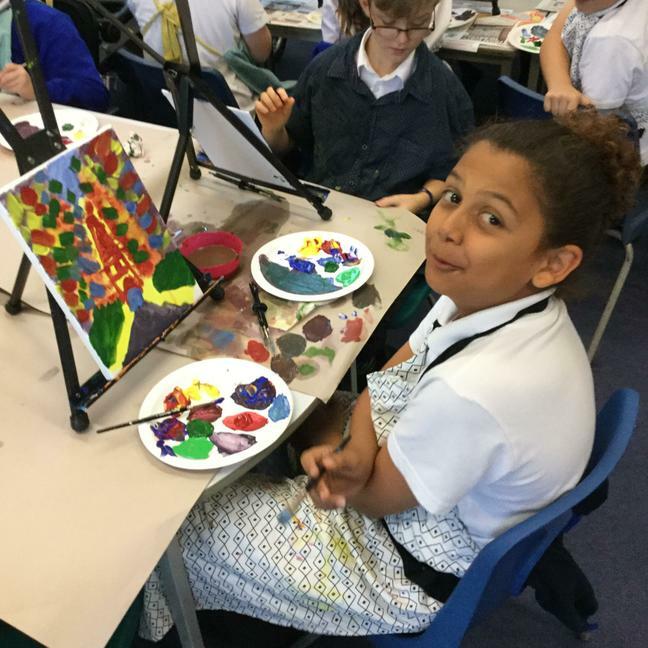 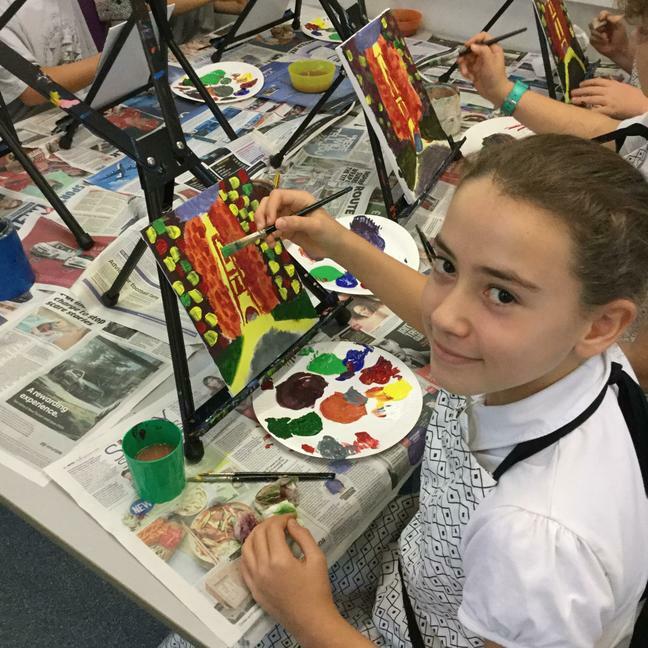 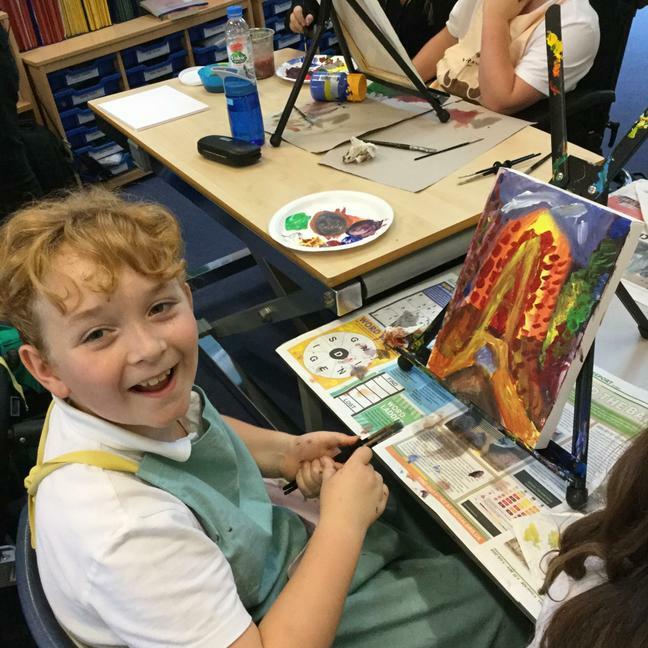 This afternoon, Year 6 had a visit from an artist named Liam and created some beautiful Eiffel Tower pictures using acrylic paint. 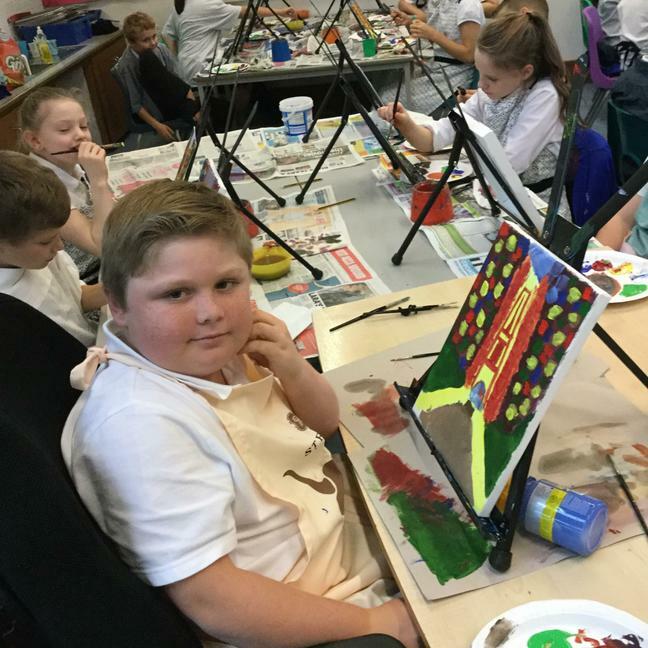 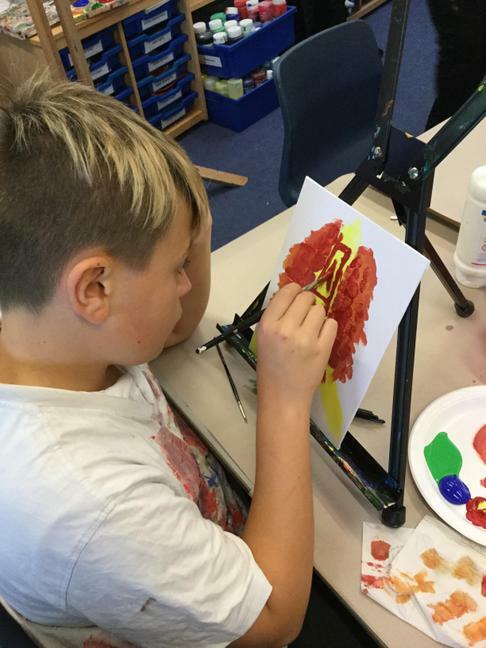 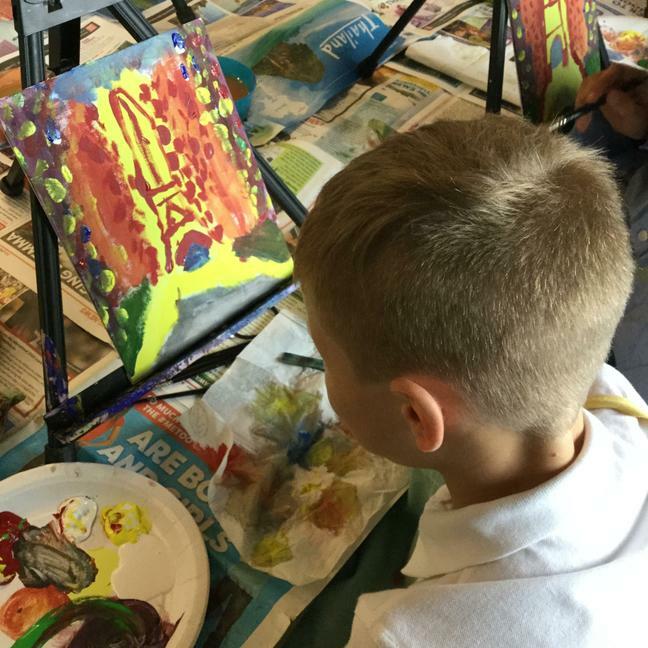 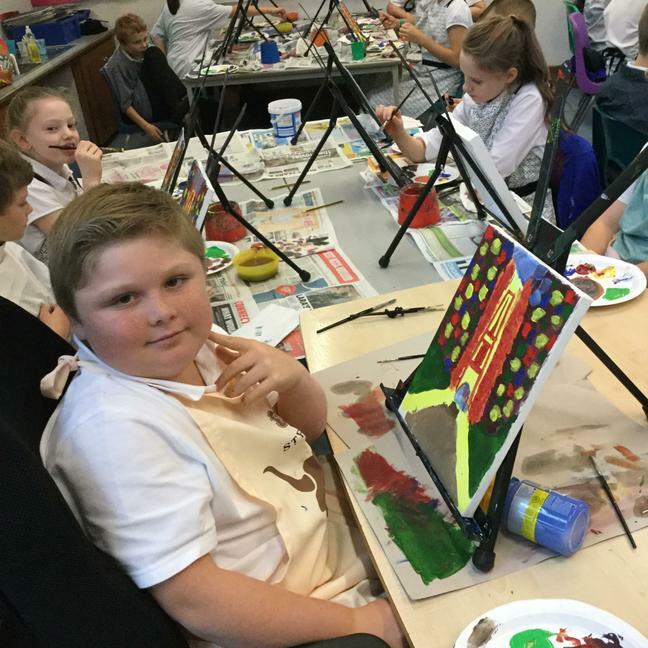 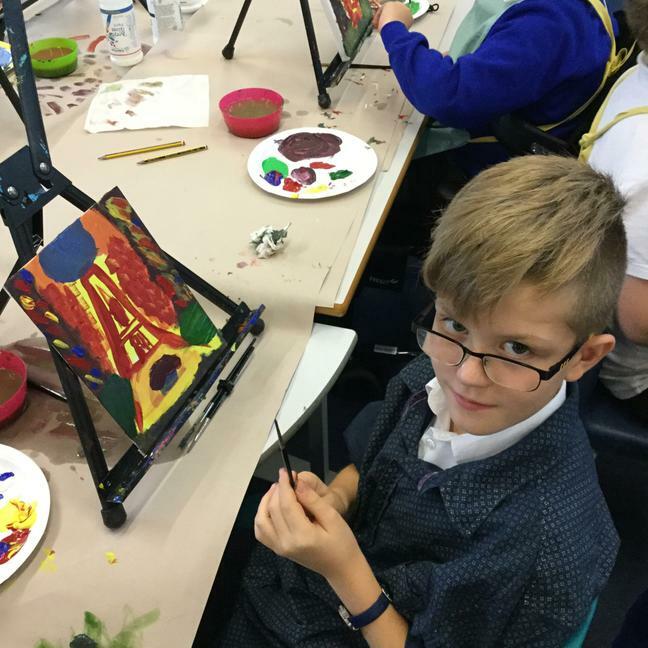 Liam used a step by step approach to layer colours and add depth and texture. 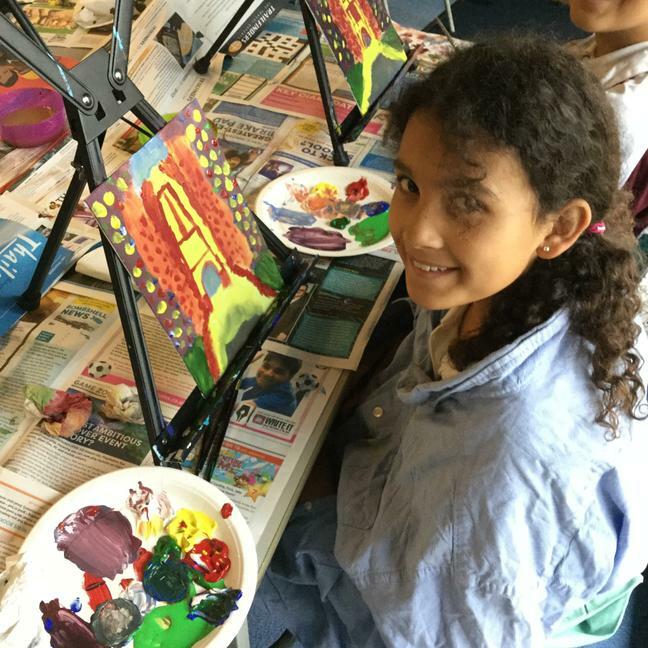 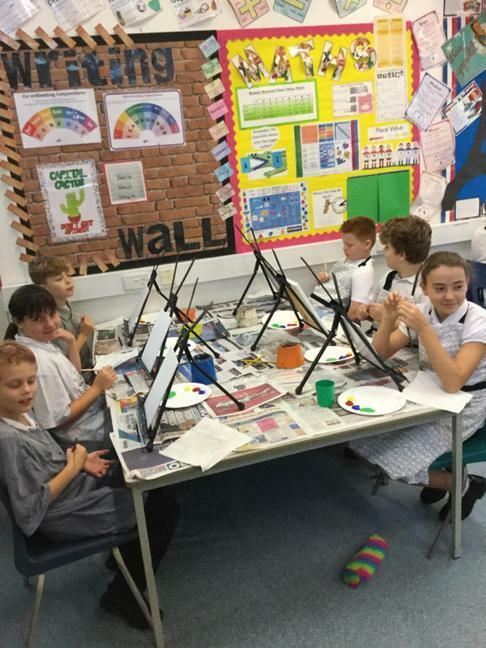 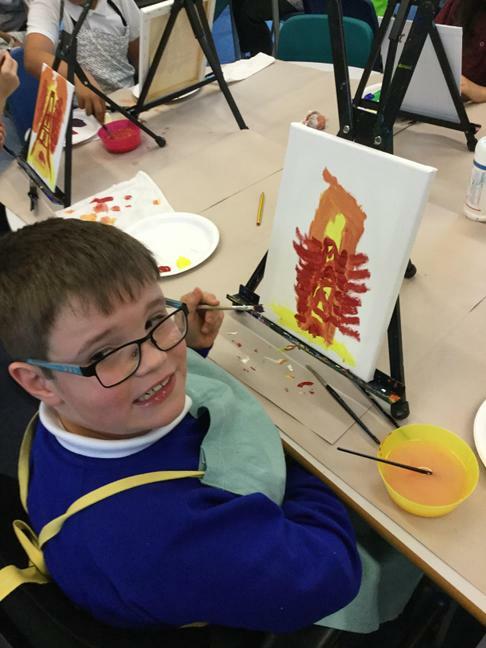 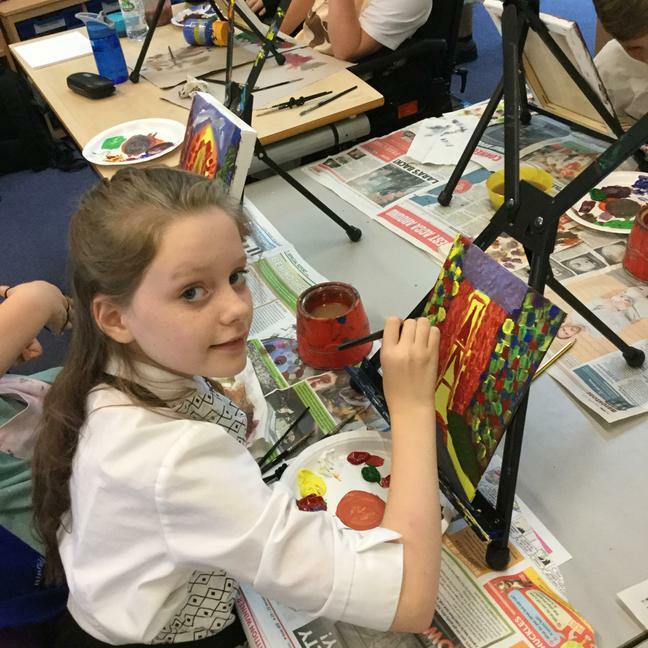 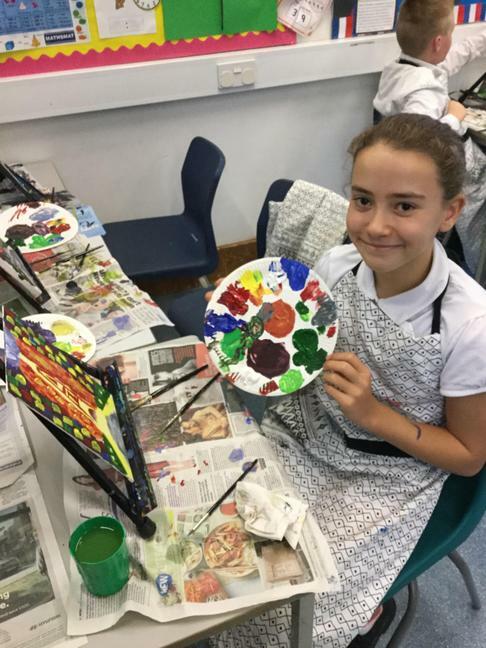 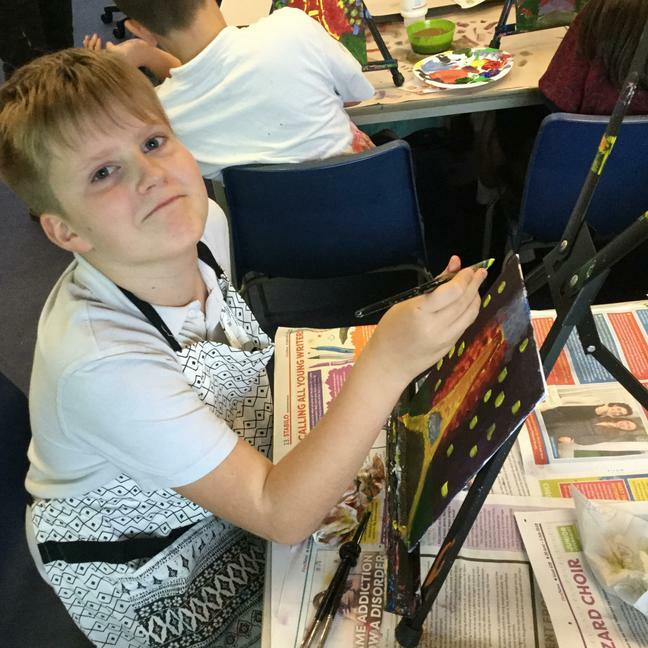 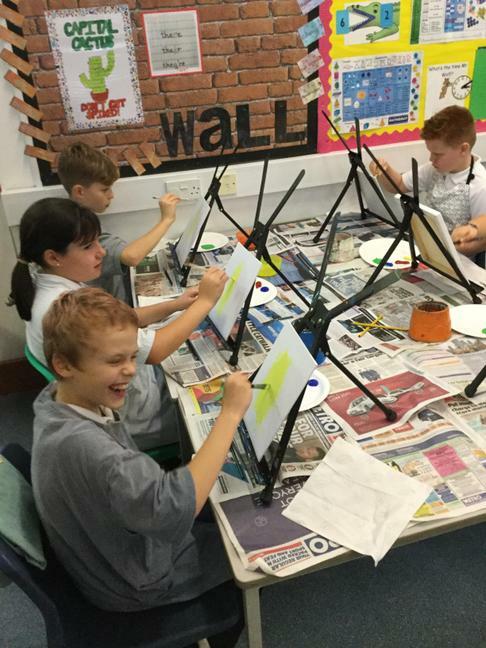 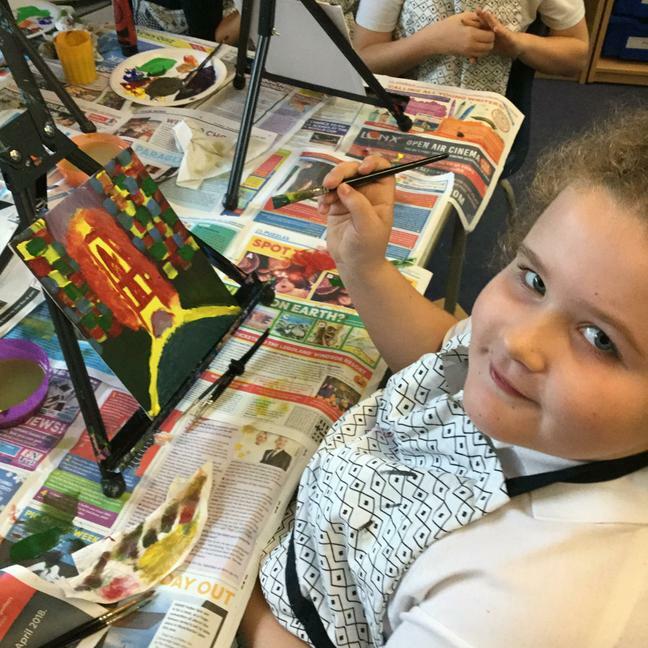 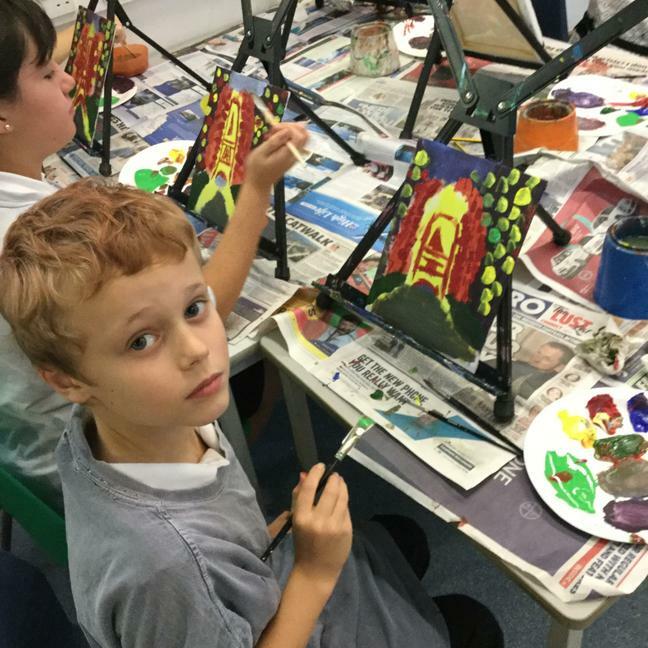 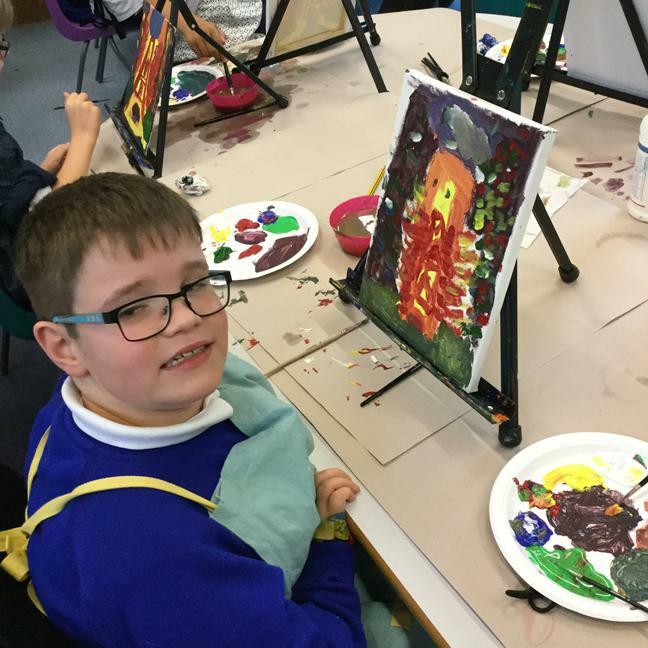 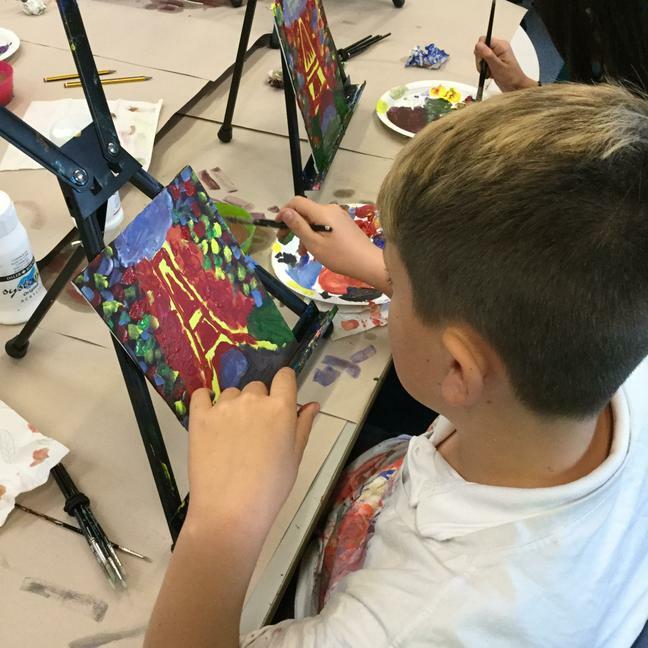 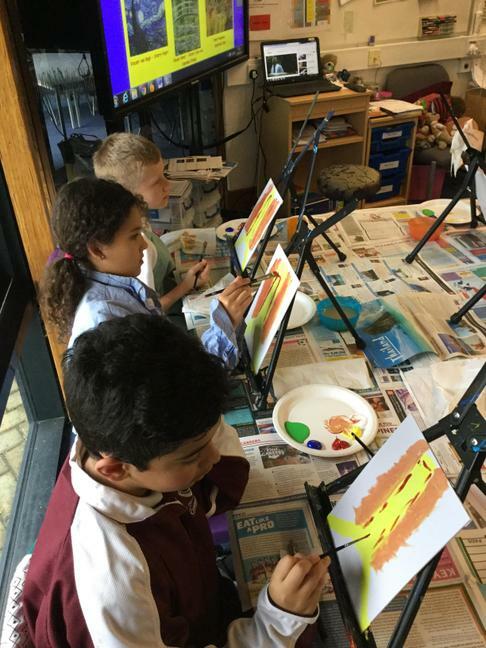 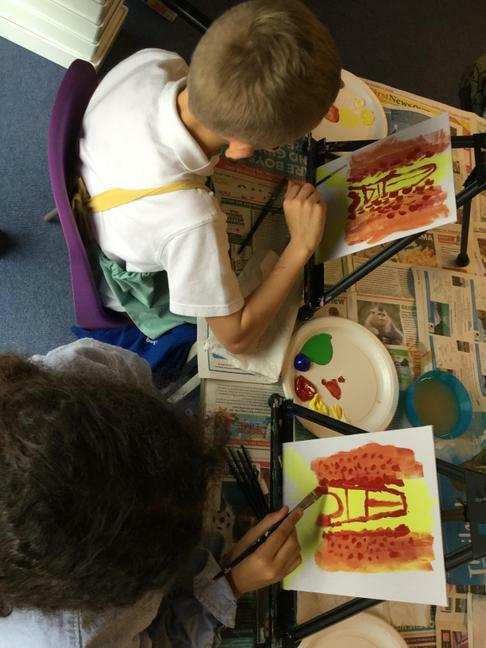 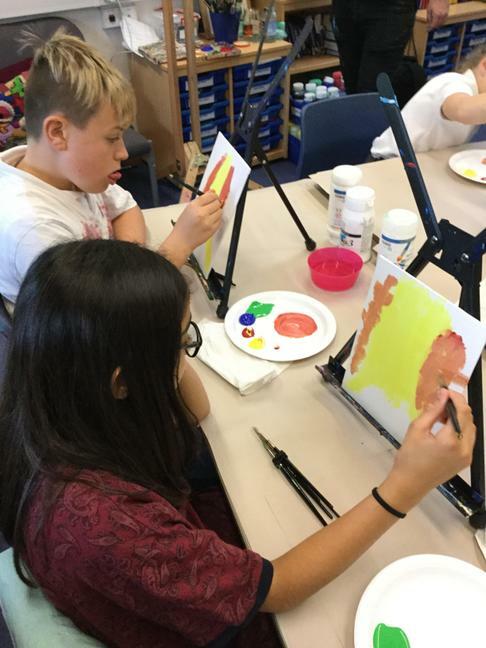 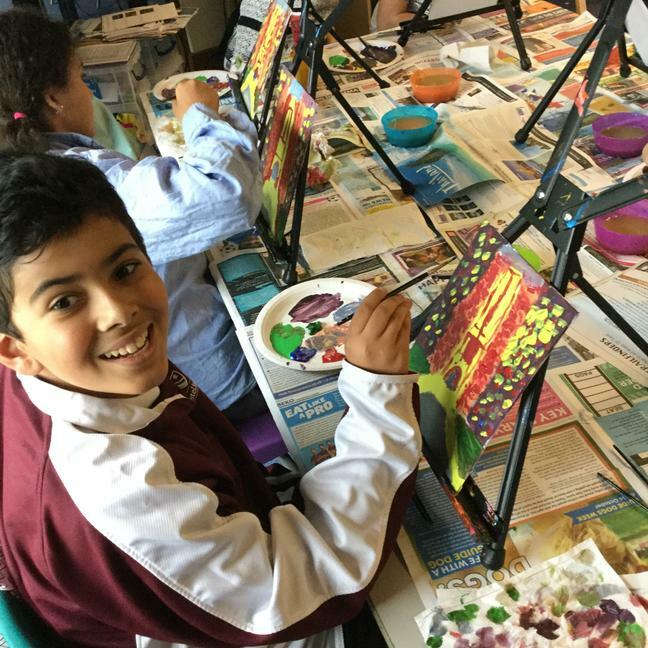 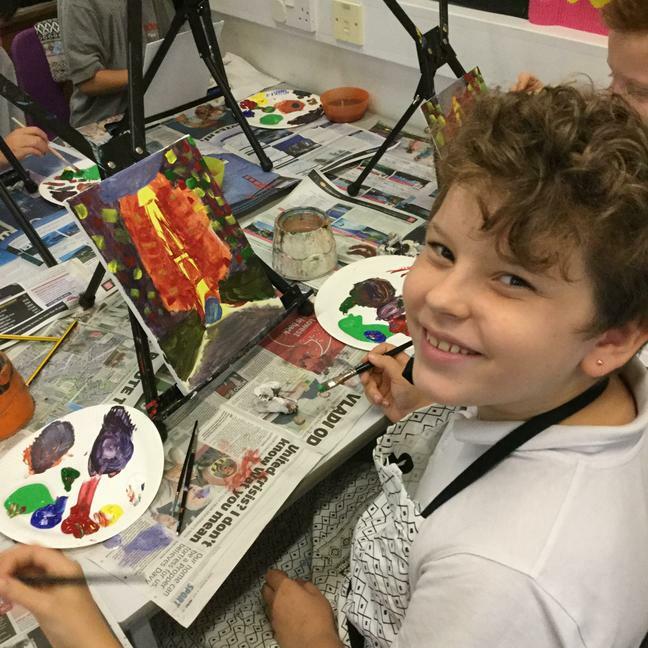 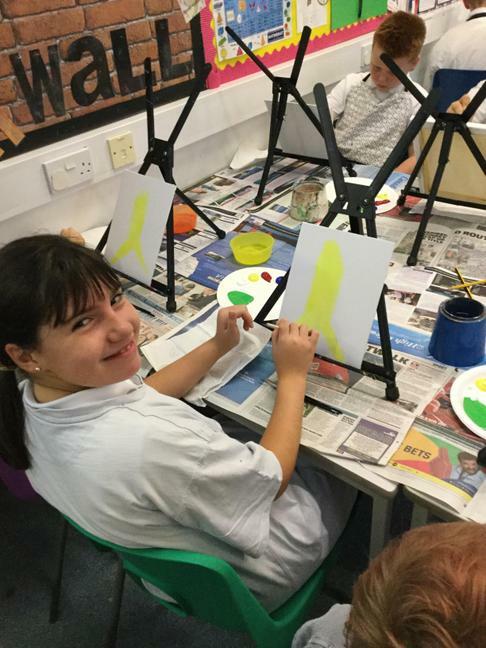 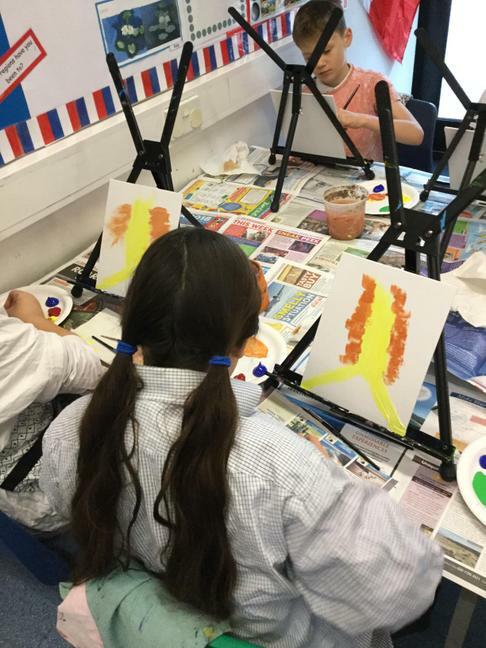 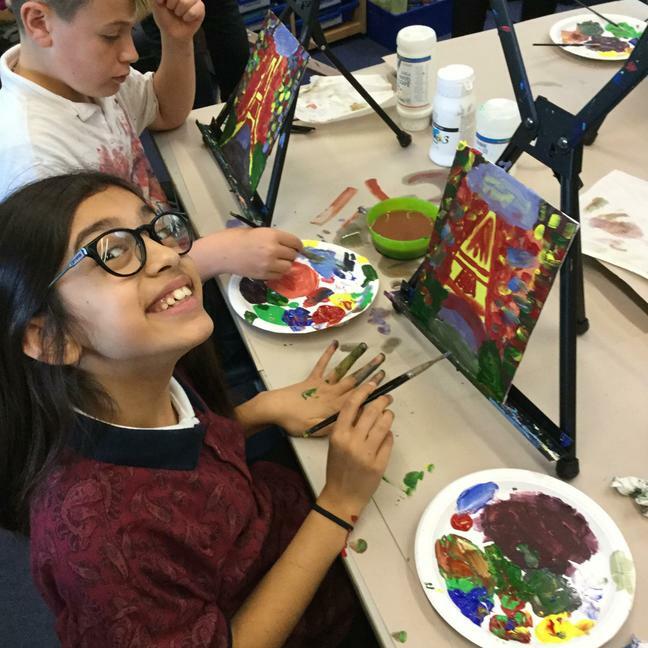 The children created and mixed their own colour palettes, enabling them to make truly unique creations.